HTML5 Browser-based RDP Access - Easy to use and simple setup! 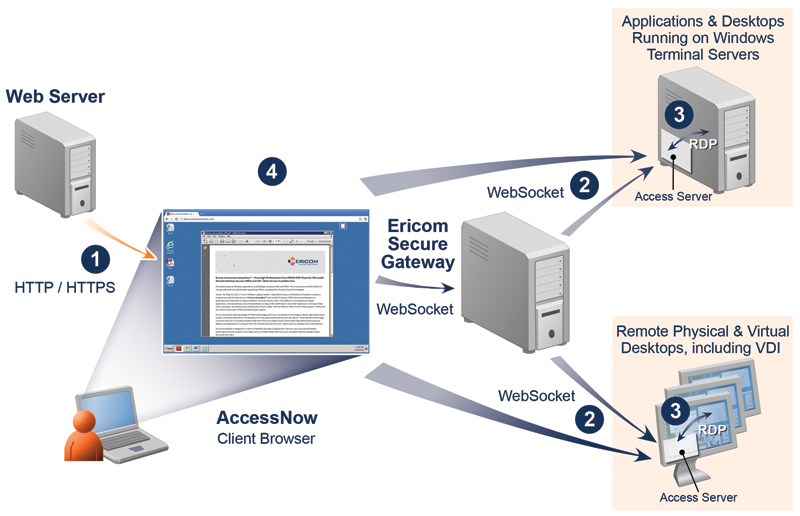 Ericom AccessNow is the market's first high performance HTML5 RDP Client, providing browser based access to Windows applications and desktops (virtual & physical), running on Windows Terminal Services / RDS / VDI platforms, including Microsoft Hyper-V and other hypervisors. Now supports Windows 10 and Windows Server 2012 R2.